Native APIs to Create, Edit, Convert and Print Word documents within any Desktop, Web or Mobile application using the relevant platform. Aspose.Words for .NETTarget .NET Framework, .NET Core & Xamarin platform to develop applications for Windows, iOS, macOS & Android. Aspose.Words for JavaNative Java APIs for the desktop, web or any kind of application based on Java SE or EE. Aspose.Words for C++Add Word document processing capabilities to C++ applications developed on Windows platform. Aspose.Words for Android via JavaAdd document processing capabilities in mobile apps. It works with Android OS 2.3 or later. 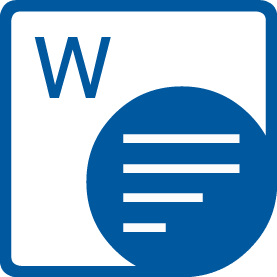 Aspose.Words for SharePointConvert and combine Word documents in SharePoint Services 3.0, SharePoint Server 2007 or later. 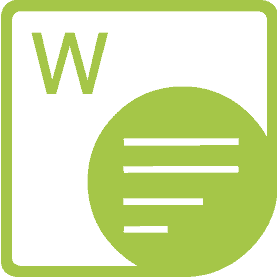 Aspose.Words for Reporting ServicesExport RDL and RDLC reports to Word and PDF from SQL Server Reporting Services 2005 or later. Aspose.Words for JasperReportsExport reports to Word and HTML formats from JasperReports or JasperServer.